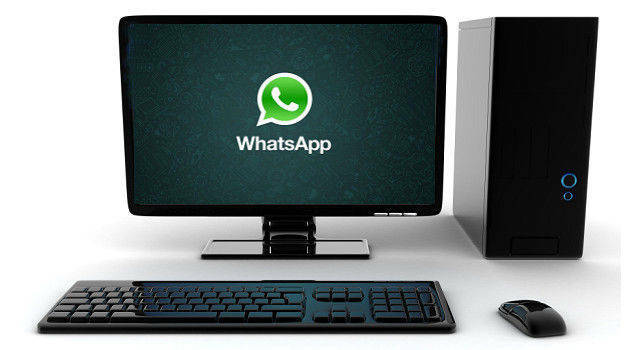 WhatsApp, the very popular free and cross-platform messaging service, is owned by Facebook. The well-known app provides you various features such as sending voice calls along with video calls, text messages and images along with other media, user location, and documents. Recently, in February, WhatsApp introduced its new feature known as Status Stories for Android, Windows 10, and iOS mobile platforms. This feature allows its users to share GIFs, photos, as well as videos that can also be enhanced using emojis, drawings, and captions. However, these statuses stay for just 24 hours, and they automatically disappear after that. As we known Old Is Gold, people liked the old text-based WhatsApp Status feature. The old status feature comes with usual defaults such as Available, Busy, Battery about to die and more. It is worth noting that with the return of the old status, the company has not removed the recently-introduced photo/video status updates. They are still available via a separate 'Status' tab in the app. So let us now see some of the best WhatsApp status ever. Part 4. 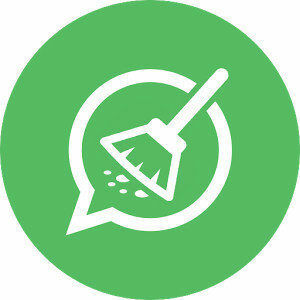 How to Save WhatsApp Status, Picture and Video on iPhone? We have got some of the best WhatsApp status messages for you today. Enjoy reading them..! Some people R just so FAKE that if u look properly at the back of their neck, you'll find a tag saying "MADE IN CHINA"
When someone says: You are UGLY TELL them oh sorry I was trying to look like you!! Call me anorexic, call me fat. I can put on or I can lose that. Call me annoying, call me dumb. Excuse me miss; but I'm having fun. I'm just unique. I don't like to commit myself about heaven and hell – you see, I have friends in both places. …It's Not That I Hate You… But Let's Put It This Way If You Were On Fire And I Had A Gallon Of Water I'd Drink It. Facebook is where hypocrisy, falseness, double standards, rumors and depression meet up for coffee. I'd walk through fire for my best friend. Well, not fire because that's dangerous. But a super humid room… well not too humid, because you know… my hair. Dear Diamond, we all know who is really a girl's best friend. Sincerely yours, Chocolate Cake. Now that we are done with some of the best WhatsApp messages, let us have a look at some funny best WhatsApp status in English. Dear Math, Please Grow Up & Solve Your Own Problems. I'M Tired Of Solving Them For You. I Hate When I Plan Conversation In My Head & Other Person Doesn't Follow The Damn Script. Sometimes, I Forgot How To Spell A Word So I Change The Whole Sentence To Avoid Using It. Sometimes I Wish I Was A Bird….So I Could Fly Over Certain People & Poop On Their Heads. Long Time Ago I Used To Have A Life, Until Someone Told Me To Get Into Social Networking. Chocolates Comes From Cocoa, Which Is Tree. That Makes It A Plant….So Chocolate Is A Salad. I Don't Have To Worry About Getting Kidnapped, They Would Bring Me Back In Less Than An Hour. Always Speak The Truth No Matter How Bitter Harsh It. But Run Immediately After Saying It. My Idea Of A Good Morning Is One When I Open My Eyes, Take A Deep Breath, Then Go Back To Sleep. I Hate It When People Are At Your House & Ask "Do You Have A Bathroom?" No, We Pee In The Yard. The Biggest Difference Between Men And Women Is What Comes To Mind When The Word Facial Is Used. People Say Everything Happens For A Reason, So When I Punch You In The Face, Remember I Have A Reason. They Say That Love Is More Important Than Money, But Have Ever Tried To Pay Your Bills With A Hug? It Takes Real Skill To Choke On Air, Fall Up Stairs & Trip Over Completely Nothing. I Have That Skill. No. I Am Not Single. I Am In A Long Distance Relationship Because My Future Boyfriend Lives In Future. When Guys Get Jealous, Its Actually Kind A Cute. When Girls Get Jealous World War Iii Is A About To Start. Everything Happens For A Reason. But Sometimes The Reason Is That You're Stupid And You Make Bad Decision. People Have Become Really Naughty On WhatsApp. Even Married Women Have Put Their Status As "Available". Life Is Too Short To Be Serious All The Time. So, If You Can't Laugh At Yourself, Call Me….I'll Laugh At You. It's Really Funny And Hilarious When Wife Thinks She's Punishing Her Husband By Not Talking To Him For Days. And here are some the cool WhatsApp statues for you fellas. Com'on... Show some attitude by using them. I'm not virgin, my life fucks me every day. Virginity is not dignity, It is just lack of opportunity. In the above article, we have seen the best, cool and funny WhatsApp statuses only for you. We know how important WhatsApp statuses are for you. And we also know how important it is backup and restore all WhatsApp data, from statuses to message and other stuff. Hence in case you experience any problems with your iPhone's WhatsApp, Tenorshare iCareFone's Backup and Restore function is here for you. We highly recommend the software to backup and restore all your iPhone's WhatsApp data. "How to save 'WhatsApp Status' images and videos from friends" seems to be a little tedious. But now with Tenorshare iCareFone, it becomes super easy. It is a free iOS backup tool that can easily help you save WhatsApp status, pictures, videos, etc. on iPhone to PC/Mac with only 1 click. Step 1Download and install the software on your computer. Launch the software and connect your device with it. Step 2Select the files types you need to transfer or backup to computer. Step 3The whole process will take a while. Once completed, you can select to view backup data. Hurry! Grab the most suitable for your status. Enjoy these best WhatsApp status quotes in the article. Feel free to share with us in below comments if you have any amazing WhatsApp statuses other than the above-mentioned ones.